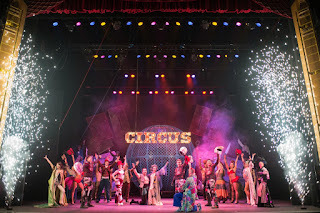 Cirque Berserk! is sold with the tagline "Real circus made for theatre" and having now seen both versions (tent and theatre) in the last few months, it truly does have a different vibe to it. The most obvious part is the slickness and pace that comes with working in a theatre environment. This show has tremendous drive from the very beginning to the final curtain with directorship (from Julius Green) of exceptional standard. 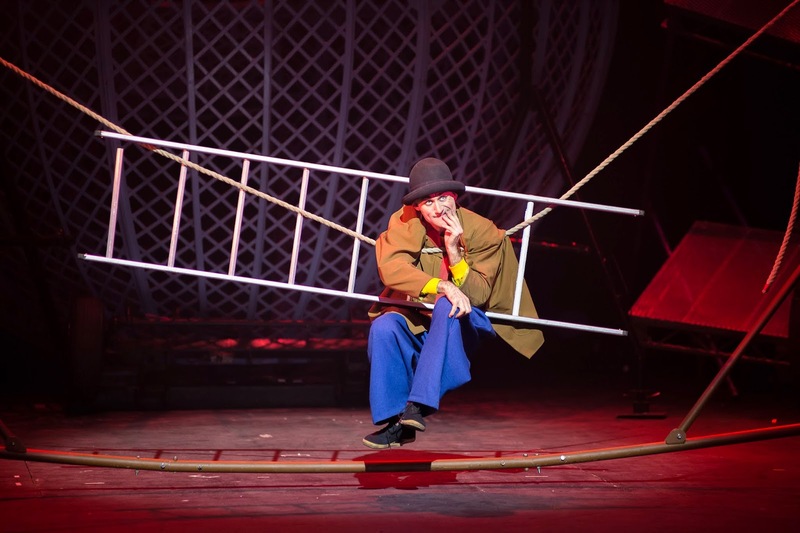 While sitting in a tent offers the fun of the circus of old, this show refines that show into an excellent theatrical piece. 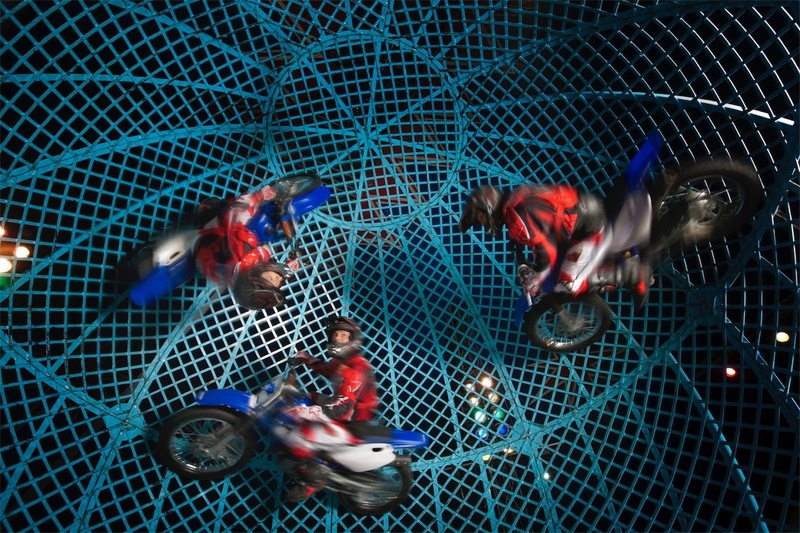 There are no awkward pauses, each act eases into the next, often with the exceptional acrobatic performers Timbuktu Tumblers working their magic to bridge the acts. If something is happening behind scenes in preparation for the next performer, something is still happening front of stage to keep the audience entertained. The show also benefits greatly from a stunning and almost constant soundtrack. If that sounds grating that you suffer music throughout, it really doesn't as this pulsing, mostly electronic sound enhances the entire show. It calms though perfectly for the more gentle balletic style performers Jose and Gaby and becomes silly and comic (with added sound effects) for the slapstick of Tweedy the clown. The whole production is so slick that is manages to highlight more starkly the only real criticism I might lay at the show, and that is of the lighting. While it occasionally provides a great deal to the atmosphere, it is quite often far too dark to illuminate the performers sufficiently. I am all for enhancing the atmosphere, but this tones it down far too low. I hope that it was just first night at the venue issues going on. 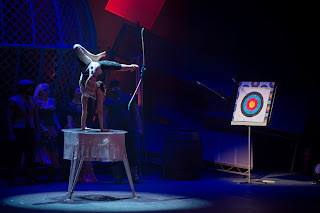 The acts throughout are amazing, top of the bill Globe of Death with The Lucius Team, despite my having seen it before, still unnerves and amazes in equal measure, while Jackie and her strap aerials has its seat clutching moments. 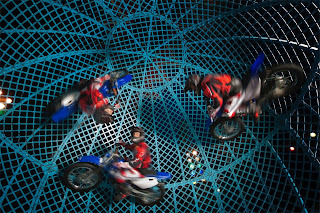 The outstanding and equally scary Tropicana Troupe provide a few amazing moments, and you finally feel thankful for their final big stunt that they at last use a safety rope. Perhaps the least expected, but quite staggering to watch though was a foot juggler! 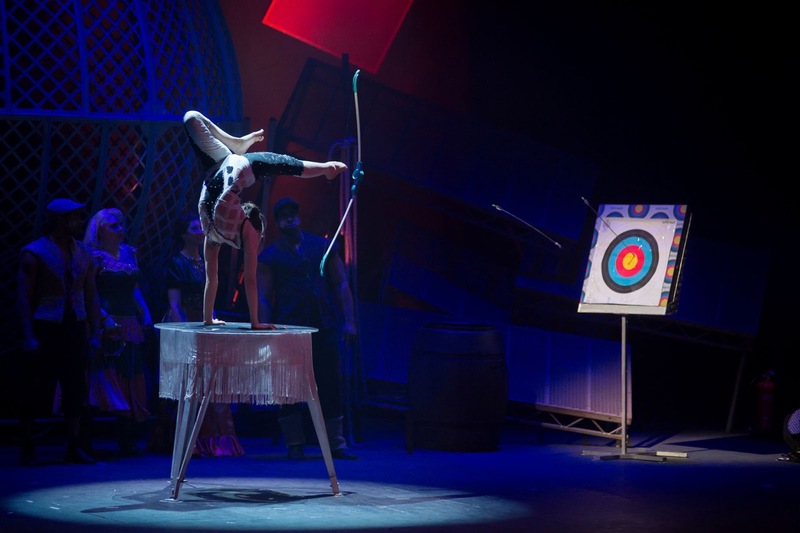 Defying all logic, Germaine Delbosq provides an unnerving level of skill, rotating, catching and juggling an assortment of items. If you have ever tried to pat your stomach and rub your head at the same time, this little act will leave you dazzled. Star of the show though, if I may be so bold to say so is the "award-winning" Tweedy the clown. A showman of outstanding skills, stage presence and audience rapport. Every time he appeared, you were soon sure that you were in for a treat. Also for anyone wary of clowns, Tweedy is a very un-clown clown, just relying on the the style without the image of the clown of old. No big shoes or red nose going on here. He is quite brilliant, and my personal highlight of a show of endless highlights. 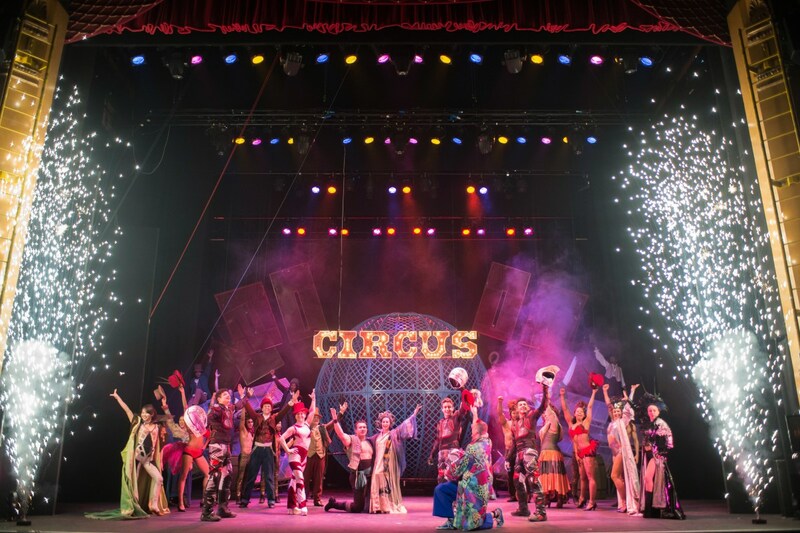 So the circus has gone through many an evolution over the years, but perhaps landing it it the theatre than the tent is an evolution that can only enhance the reputation of the variety show more than ever. Big budget looks, skillful production and a group of 32 brilliant performers. It was a pacy and exceptionally entertaining evening and comes incredibly well recommended. Performance reviewed: Tuesday 14th March 2017 at the Royal & Derngate (Derngate), Northampton.